SUB PENTHOUSE @ QUAYSIDE TOWER I by Bosa! No unit above! 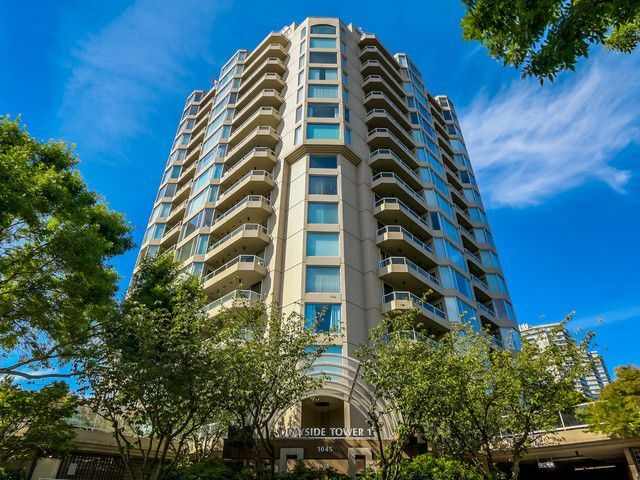 This 1265 sq.ft 2 bedroom + den (or 3rd bedroom) has huge RIVER VIEWS - 2 balconies with access from 3 S/D's off Diningroom/Livingroom + bedroom! Enjoy 2 full bathrooms (jettedtub in ensuite bath), gas fireplace, indoor pool, sauna, exercise room, hot tub, party room & secured entry & U/G parking + guest prkg. Steps to the popular RIVER MARKET, Boardwalk, Sktrain, Douglas College & shopping district. Well run strata! New elevators. Sorry - no pets & only 5 rentals.